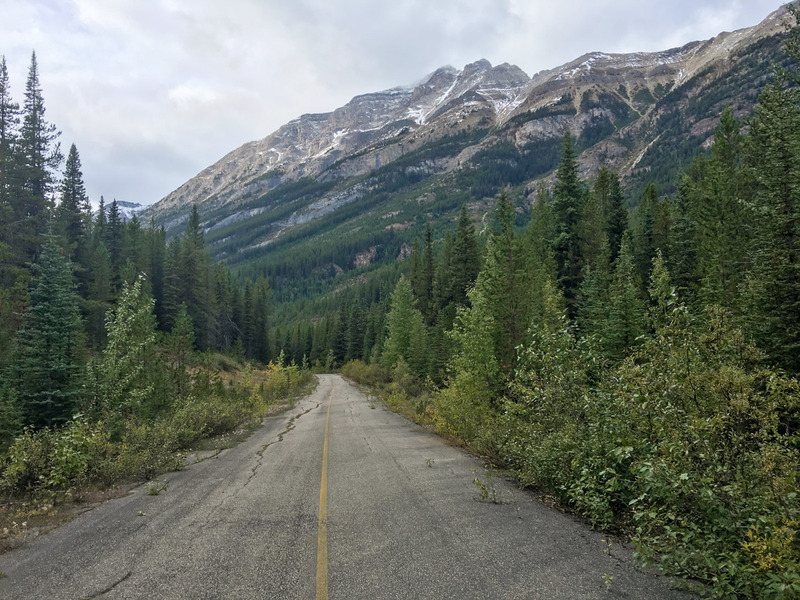 This bumpy bike ride follows a deteriorating, paved road from Lake Louise Drive along the retired highway 1A, now closed to vehicle traffic. 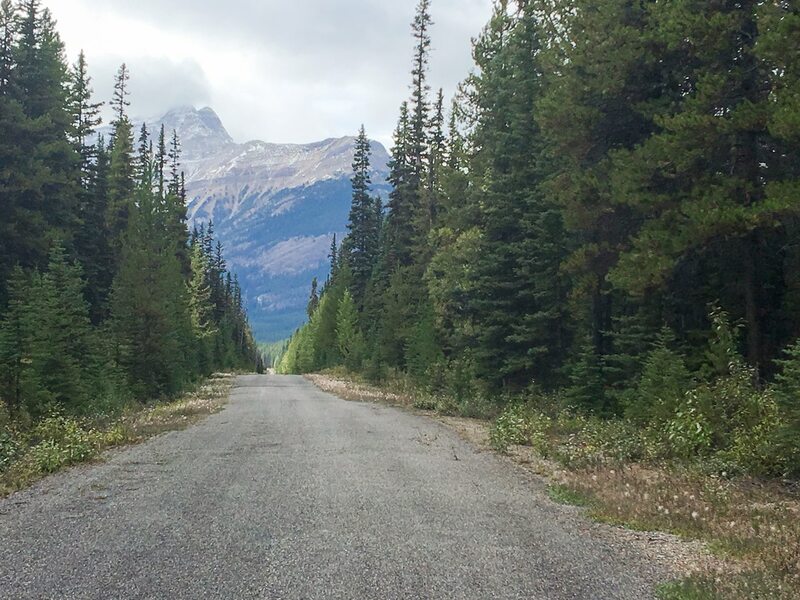 Enjoy this peaceful ride past the great divide and into Yoho National Park. 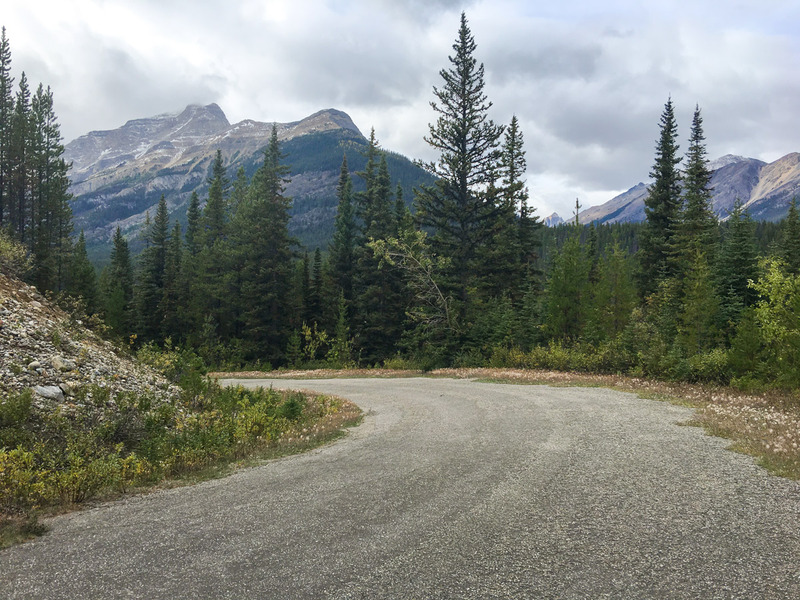 Our map starts at the Great Divide parking lot, which is the best situated parking lot for this route, and usually the last one to fill up in the morning. In summer, getting here after 8am means there is a chance it can be full. 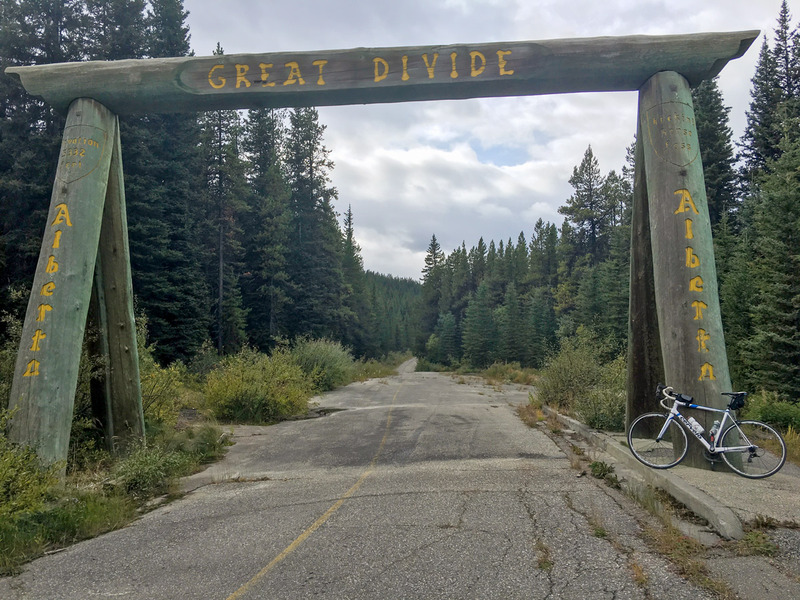 Begin riding west from the Great Divide parking lot onto the paved Great Divide Trail. 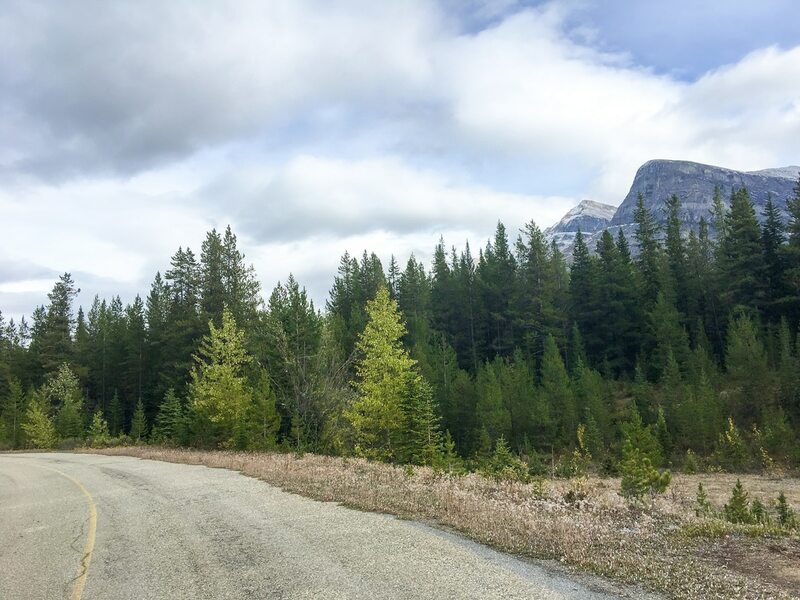 This trail is very bumpy, as the road is slowly being reclaimed by the forest. 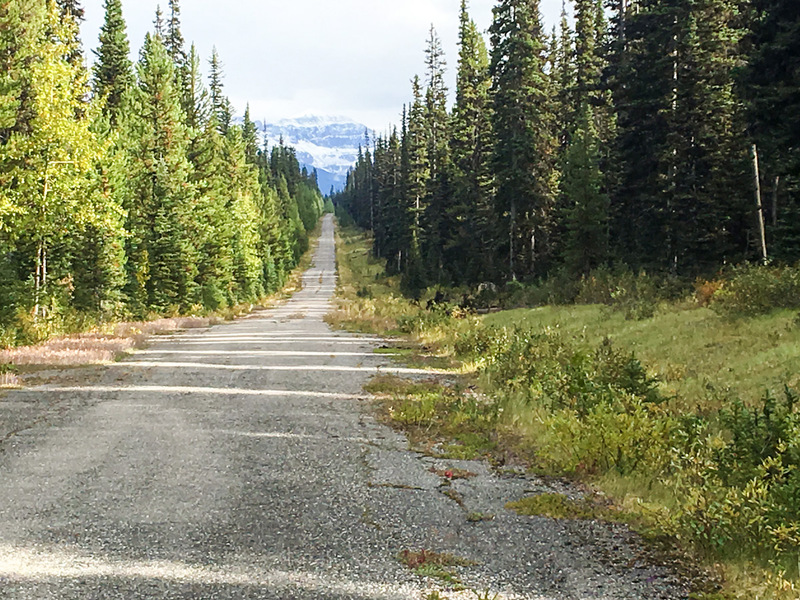 This is the old highway, which is now closed for vehicles. 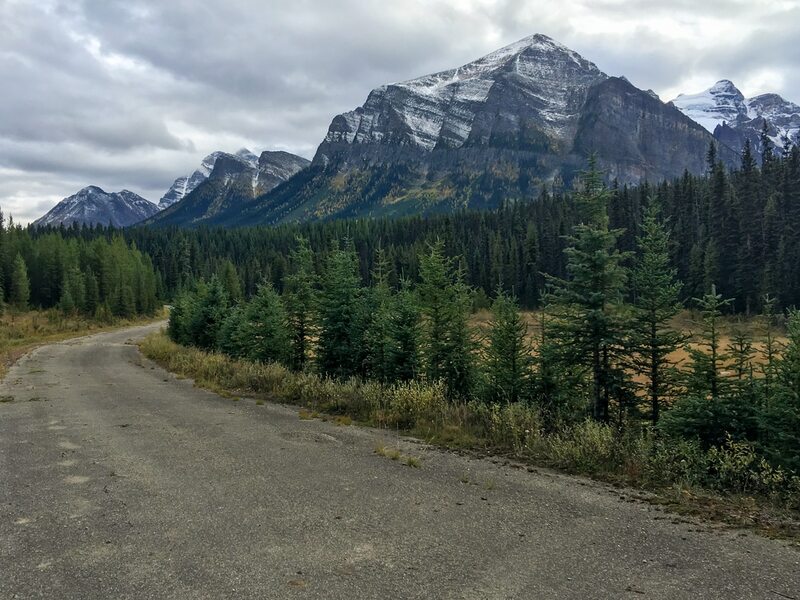 Enjoy some history as you ride through the forest towards the great divide monument. 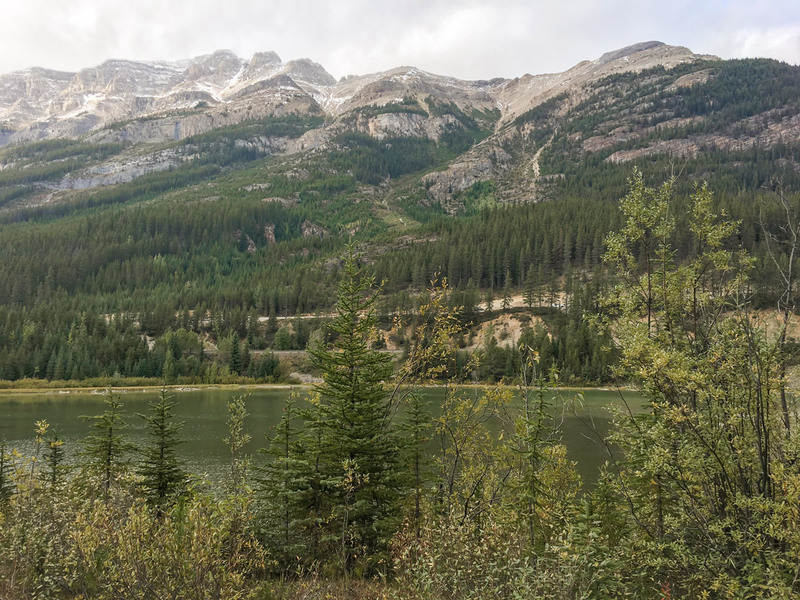 This trail has minimal elevation gain or loss until you reach the hill down to the Lake O’Hara parking lot, and is quite easy to complete. 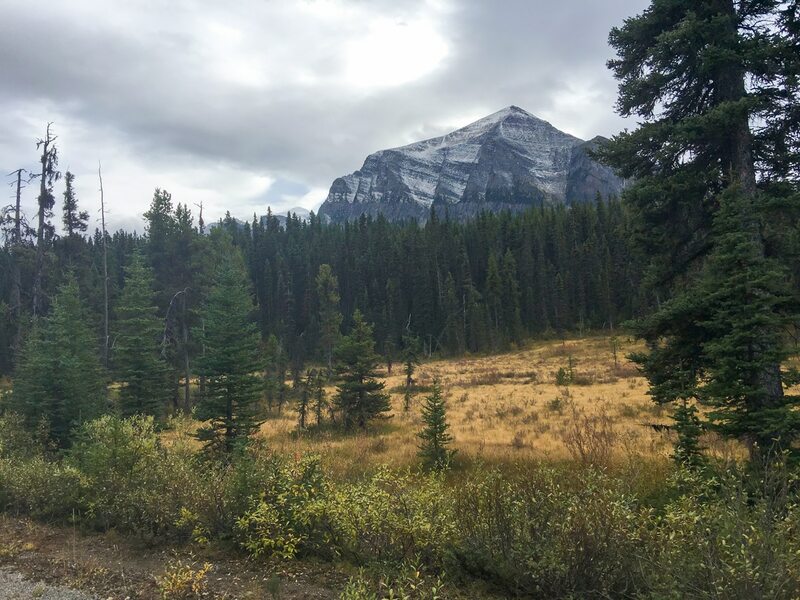 As you pass the divide and cross into British Columbia, you will be entering Yoho National Park. 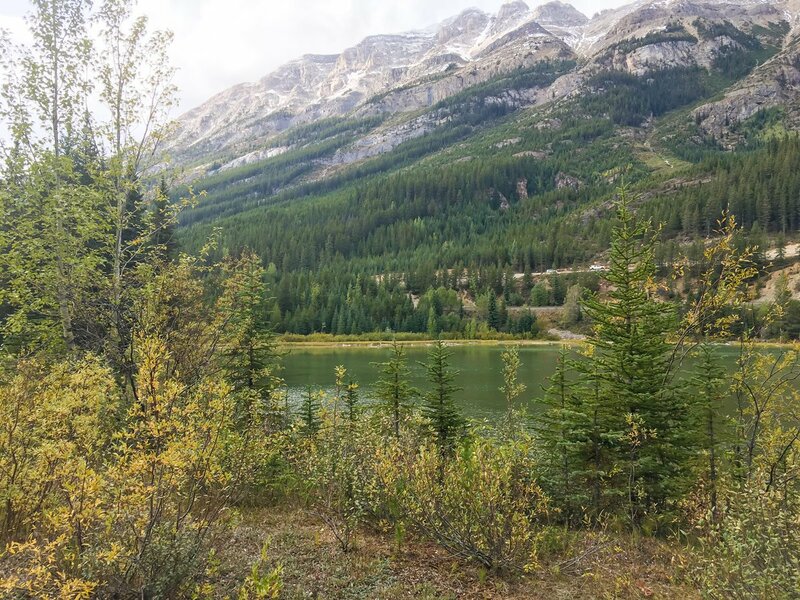 You will pass some small lakes as you approach the Lake O’hara Road, where bikes are not permitted. Turn around here and ride back the way you came. 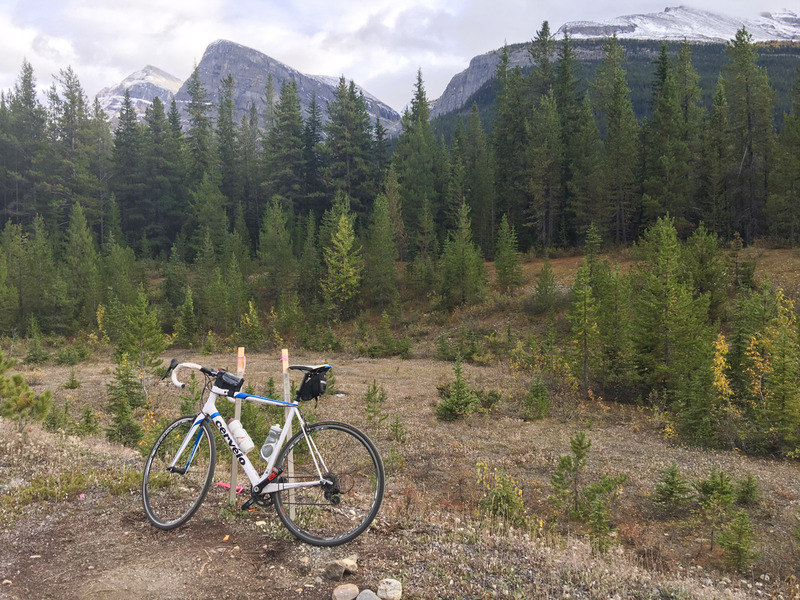 If you feel like you need to add more distance after this bike ride, try the Moraine Lake Road, which is a rewarding way to see one of Canada’s prime jewels. 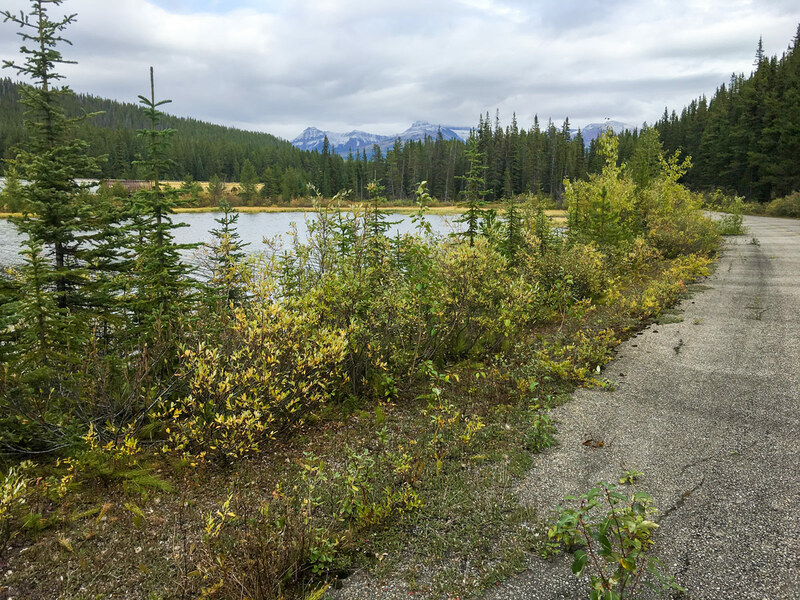 You can easily access the Moraine Lake Road from the same parking lot as this trail. 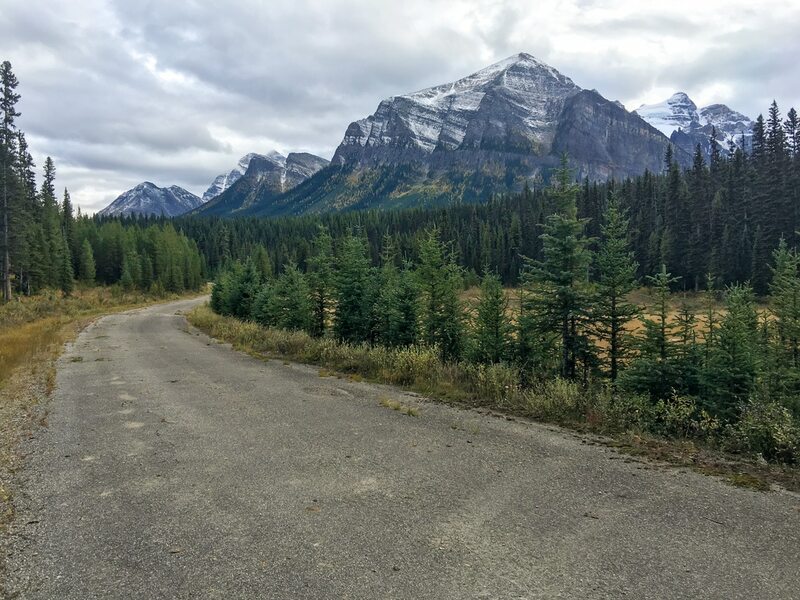 Bring your family on this easy and tranquil bike ride that goes from Lake Louise down to Yoho National Park. 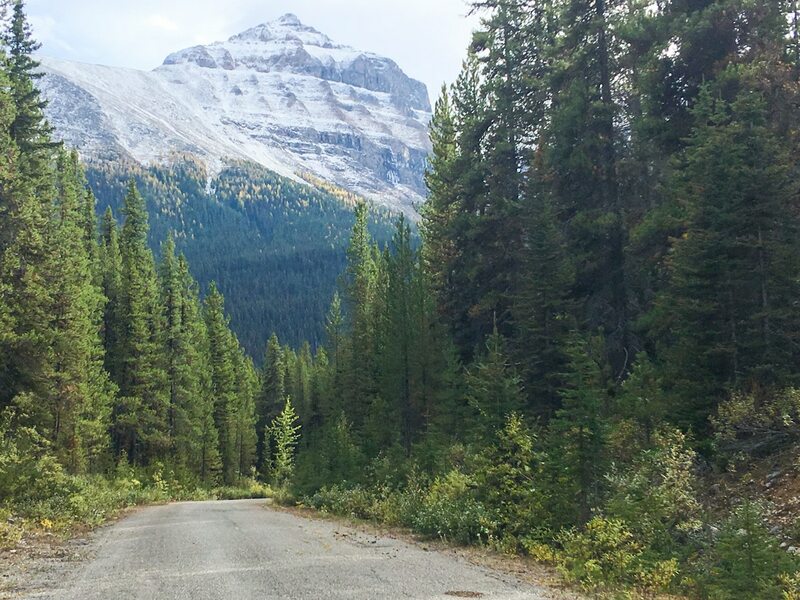 Add on Moraine Lake road to work a little harder and receive a rewarding view at the end.  Arrive early, as parking fills up fast in summer! Bring bearspray, as this bike ride is usually pretty quiet.